She says her family and friends have too many couch surfers already. “My brother froze to death and so did my cousin in the last few years,” Sara told Nunatsiaq News on Wednesday, Jan. 30. She said she has heard about someone nearly freezing to death recently in Kimmirut but who was found in time to get medical treatment. The RCMP say they have no knowledge of that happening. With news of a teenage Inuk’s death from exposure recently in Salluit, Sara is scared. She wants to see smaller communities get the funding and shelter options that Iqaluit gets. Or she’d like to see one of the empty GN staff buildings re-purposed as a shelter at night, at least in the winter. “I know someone is going to die soon outside here,” said Sara. Sara says she had been sleeping in the social workers’ offices during the day until they close, and then walking outside throughout the night until offices open in the morning. About five nights a week, she needs the social workers’ help to find a place to sleep or she stays outside, Sara says. She said she has spoken with RCMP officers, social workers and the mayor to try to express the need for a Kimmirut shelter—even a temporary one, but the request seems to fall on deaf ears. The acting minister responsible for homelessness, David Akeeagok, contacted on last Thursday afternoon, did not respond to a request for comment before publication. Neither did Kimmirut’s MLA, David Joanasie. Kimmirut’s mayor was also unavailable to speak. Under that system, anyone who has a criminal history, debts or has caused past damage to public housing may not be eligible for housing. NHC said plans are in the works to build more units spread over 25 communities. This will be done with federal funding sprinkled out annually over 10 years. There were 47 people waiting for public housing in Kimmirut as of last March 31, according to an NHC background document dated Sept. 28, 2018. Between 2019 and 2020, no buildings are planned for Kimmirut. Out of Nunavut’s 25 communities, Kimmirut ranks 11th in need, determined by the amount of people waiting for public housing and the amount of public housing units available. Between 2019 and 2020, seven communities will be allocated either 10 or 20 units, starting with Iqaluit. 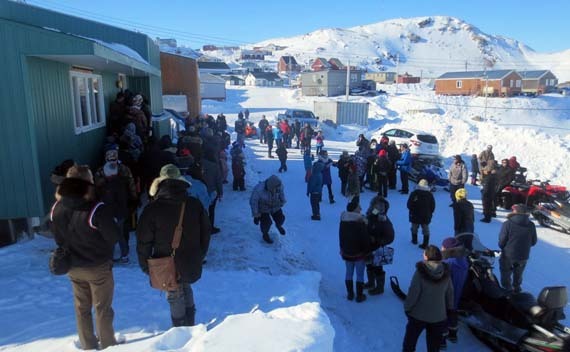 Talayoak, Naujaat, Whale Cove and Kimmirut are ranked as the highest in need of the communities that will get no new buildings before at least 2020. “There are a number of steps a community must take before the department can consider funding a shelter,” said Tracy Wood, a policy analyst at the Department of Family Services. Two big requirements are that community members identify an existing building “to support a shelter” and demonstrate their “capacity to take on and manage a shelter,” said Wood. She encourages communities to work together on that goal. “We will work with communities who have identified a need,” said Wood. However, she confirmed that the day after Nunatsiaq News’ requests for comment went out, the Department of Family Services spent the day with her working to find a short-term solution. By the evening, she said they were able to get her a temporary spot in a home for two weeks. Then what is she supposed to do after two weeks? They’re going to shelter her just long enough for the story to go away? Shia. Other places in Canada are finding innovative ways to house the homeless. Why does it seem like our government is incapable of thinking outside of the box? The very idea that Inuit living up north now need homeless shelters is a sign that things are going terribly wrong wrong wrong. since when is akeeagok minister of homelessness??? isnt that sheutiapiks responsibility?? Here is the Federal government of Canada excepting foreign refugees into our country and yet they say that they have no funding for houses to be built. 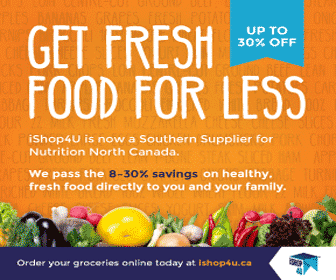 When will our Nunavut politicians that were voted into government start really helping their constituents? How much longer are the homeless have to suffer? When is the minister of homelessness going to jump in and do her job? A lot of questions unanswered. Just nodding my head reading stories like this way too often. Who do we blame the whole housing system or ourselves with our life style combined with not following the regulations? I think its a brutal combination first is going behind in rent and bills in damages plus our rough life style (drinking) and not working and eventually not able to pay anything for years. Eventually get kicked out and start blaming the system because we end up homeless and live in shacks or become a couch surfer with family and friends. I think it all starts from us from our own wrong choices in life but the blame games starts when we end up in that type situation. The housing authority should show the rent arrears in the newspaper just like the city does in Iqaluit so it will help stop some of the feel for me crap in the media because most of it is from our poor choices and actions in life that put us in those situations. 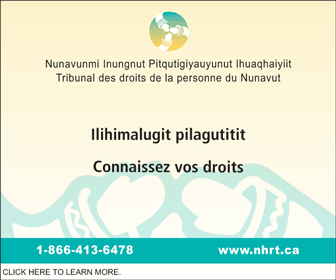 There are many circumstances that come into play, this is not a blame game, it is raising a serious issue that Nunavut needs to think twice about, not only for the community of Kimmirut but for other communities.. Addictions, the impacts of the residential school system, uprooting of our culture and so many other injustices are root causes of unforeseen circumstances such as what is written in this article. .Raising these issues is good for future generations who may end up in these types of predicament is a good thing, not a bad thing. The powers that be are the decision makes,just look at the announcement by our Prime Minister on allocate over 100 million dollars for refugee housing this year and yet the first peoples of this land are struggling with issues that come with trying to house their loved ones or friends because there are no systems set in place in smaller communities for when things go terribly wrong in the household or when circumstances occur that are out of control of an individual. It wasn’t too long ago that inuit lived in an iglu. Why not make some iglus and use seal oil for lamps? Im sure there are a lot of seal hunters in Kimmirut and this would be a great way to keep tradition alive. Way better than staying outside all night. If you build one and move in first, others follow suit. Easy eh? You are one of those. A privileged person, perhaps southerner but if not, a privileged inuk who has a phone or computer and internet. Not much depth for thought between your mouth and your brain. Nunavut leaders don’t operate, or Nunavut Government. They don’t care about their own Ppls. Wanna suggest, next election, ask all of them, what they’re gonna with homelessness in Nunavut…. That’s Number one, factor costs high rate of social issues in High Arctic, too! OMG! I’m from Kimmirut and I am shocked to see this. There is not one person homeless that I know of. Closed minded people and many community members who are in denial who want to look good and pretend there is no person homeless? How many people here are living with other people because they don’t have a place of their own. So many families here have to let others live with them because there is not enough houses first of all, adult children doing elder abuse in many forms, child abuse, spousal abuse, drug use in the homes, hungry children because parents rather pay for their drugs and booze…open your eyes and look around you, you know what I’m talking about. Alcoholism is bad here, 100 bucks for a miki bottle and people on welfare are always drunk spending their support money on booze neglecting their kids. Parents hitting their kids even hitting their littlest ones thinking slapping is not abuse? How many women have been flown out to get away from their violent partners because there are no safe places? Murders sometimes murder suicide happens here. No where to turn for many who need a safe place. OMG why don’t you educate yourself on what homelessness is, oh yeah, social passing, kids who don’t go to school, kids threatening to beat up adults, inge drinking and the lust hoes on…our mayor was medived from a drunken night of bootleg vodka gone wrong. No homeless people here? Your use of a homeless person must be the steoriotypical type such as a pandhandler on the streets eh? Yes, your dilutional thinking and the pretending that there are no homeless people here is what you are comfortable with. This is just the tip of the iceberg. So go back to your closed minded brain and pray that you will never escape it because you could never handle reality if it hit you in the face. All the elders and leaders as well as the police know who the bootleggers are, but they stay silent, eagerly waiting for dirty money to be brought to them. 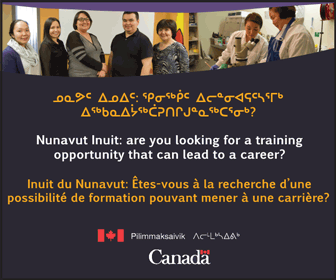 Hey Kimmirut Resudemt, re-read the article, 47 on the waiting list, does not include partners or children. If you only knew how many women and children are sent out when serious things happen in an already overcrowded home I think then you would understand the needs in this community.